Studies show that more and more people are skimming content online as opposed to reading each word on a page. For those who manage a blog, this piece of information is huge. Formatting blog posts for optimum readability is critical. Read on to learn how you can format your blog post so you can ensure your content is being read and digested. Have you ever scrolled through the post before reading to check the length of the article before committing to read? Ah-ha, I didn’t think I was the only one that did that. Because more and more people are skimming or speed reading content, it’s important your content is easily readable. The Internet is full of content just waiting to be read. 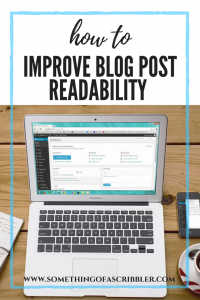 You can ensure your content is read by improving the readability of your posts. To ensure your blog posts are easy to read consider adding subheadings to your post. Important information can be put in the spotlight, making it easier for the reader to understand key details. Subheadings act as a guide for your readers and pulled them from top to bottom your post. Subheadings essentially break blog posts into neat, little sections. Each section should contain information relevant to the subheading so the reader knows what information to find in that section. Like subheadings, bullet points and lists organize information that can be quickly spotted and read by the skimmer. Speed readers are automatically drawn to bullet points due to the extra white space surrounding the list. Helpful tip: when using bullet points, make sure your lines of text flow grammatically. Example: if the first word on the first line is a noun, use nouns to start off the rest of the list. To make sure your blog posts are even easier for skimmers to quickly read and digest, use clear, concise language. Determine who your target audience is and use language that your audience would use on a day to day basis. By doing this, you come across as an expert in your niche. If you’re a doctor who’s planning to educate others in the medical profession with your blog, then use medical terminology. If you’re a stylist showcasing your wardrobe and influencing fashion trends, then, by all means, use those trendy terms. You should also shorten paragraphs in your posts. Forget everything you learned in grade school about what constitutes as a paragraph– even one sentence counts in the blogging realm! Shorter paragraphs are easier to read and makes the reader feel as if reading is not a chore. Using subheadings, bullet points, clear language, and short paragraphs is easy to remember to do when writing blog posts. However, to help you stay on top of optimizing readability and SEO, install the free Yoast plugin. The Yoast plug in analyzes your blog post draft and determines where you could improve readability. The Internet is full of content just waiting to be read. You can ensure your content is read by improving the readability of your posts. Using subheadings, bullet point and lists, clear, concise language, and short paragraphs allows readers to quickly, read, digest, and share your content. Reliable, easy to read content will almost always draw in new readers and bring previous readers back to your site. And if content marketing is part of your marketing strategy, that’s exactly what you want, my friend– new readers and returning readers. Have a blog or website, but you need someone to write your content? You’re in the right place! Hire me! Next PostContent Marketing: Are You Using It? 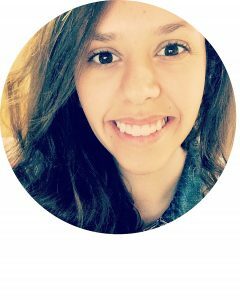 Cassie is a Freelance Writer and Blogger from Southwest Virginia. Need a writer? She's got ya covered! Content Marketing: Are You Using It? Ready to start your next writing project? Email me at cassiethecontentwriter@gmail.com. Or call, (276) 695-5903.